The clarinet was favored by operatic composers for its sensuality and human touch. What followed naturally were operatic paraphrases for its versatility and virtuosity, this in addition to the many concert fantasies, rhapsodies and variations for the instrument which explore its many different shades of tone colors and expressive voices. 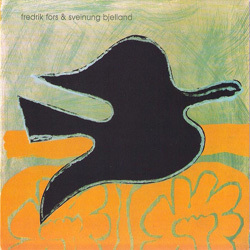 Swedish clarinettist Fredrik Fors captures this multi-facetted character on this fabulous recording partnering with pianist Sveinung Bjelland. The repertoire combines traditional and contemporary works. Schumann's Fantasiestücke Op.73 were originally written for clarinet but the composer allowed for "violin or violin cello ad libitum". Zukerman, Maisky, Yo-yo Ma and Kliegel all took their performing license and the popularity of the work has been at the discretion of any soloist who plays a melodious instrument ranging from oboe to bassoon, saxophone, French horn nand tuba. Fors and Bjelland prove that the original clarinet and piano version remains irreplaceable. The three movements are like three dialogues yearning for love from darkness to light. Grieg wrote 63 pieces of piano solo miniatures affectionately called Lyric Pieces that too have been vastly transcribed. 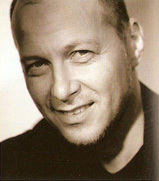 Norwegian composer Kyrre Sassebo Haaland adapted Papillon, Erotikon and To Spring from Op. 43 N°.1, 5 and 6 for clarinet and piano. This time I found the transcriptions more emotively charged and sonically more colorful than the originals. The Sonata for Clarinet and Piano Op.167 written by Saint-Saëns in 1921 is a truly romantic work that never grows old while Stravinsky's Three Pieces for Clarinet Solo written a bit earlier in 1918-1919 feel modern even today with highly inventive rhythms. Both works let Fors show the extremities of the clarinet's range and expressiveness with his effortless virtuosity. The deep and warm third movement contrasts with the high-pitched mercurial fourth movement in the Saint-Saëns. The title work Black Bird composed by Kyrre Sassebo Haaland (b. 1976) was a tribute to bird lover Olivier Messiaen who composed many works about birds including "Abyss for the Birds" for the bass clarinet. Haaland's Black Bird is written for unaccompanied clarinet. It's mesmerizing to say the least. Virtuoso techniques mimicking bird tweeting and movements in the woods like over-blowing and flutter-tonguing not only push the tonal range and acoustic effects to the extreme but also involve unconventional percussive effects by tapping the instrument. Enhanced with mixing techniques, the birds are echoing in three-dimensional surroundings. The sense of distance is particularly impressive during multi-channel playback. Johan Kvandal (1919-1999) made a most welcome contribution to this album with his Fantasy for Solo Clarinet Op. 68 N°.2. This nocturnal work speaks directly to the heart with an aria-like meditation that reminds me of "E lucevan le stele" from Puccini's Tosca, yet the middle section is like the dance of the nymphs in Midsummer Night's Dream. 1940-born Trygve Madsen's unforgettable 24 Preludes & Fugues [2L-033-SACD] has been one of my highly recommended titles of contemporary piano literature. His Sonata for Clarinet and Piano Op. 23 continues the romanticism of Schumann and Grieg. The interplay between Fors and Bjelland is heart-melting in the amorous movements yet their leaps and bounds in the finale send your heart throbbing and your feet tapping. On the other hand, Finn Mortensen (1922-1983) inherited the neo-classicism of the Stravinskian school for his Sonatina for Solo Clarinet Op.9. This is the only more abstract work of this album but the expressiveness of the clarinet remains perspicuous. 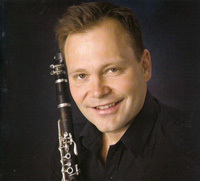 Fredrik Fors is a locally groomed Scandinavian soloist, orchestra principal and chamber musician. Sveinung Bjelland has his musical background rooted in Salzburg, Berlin and Central Europe. They might not have the international star status which some people adore but they have demonstrated world-class musicianship with this fantastic collaboration. 2L's sonic quality is world leading.